Building on work that Gemma Carey and myself have previously done on the role for feminist theory in public policy, for this special issue we had the great privilege to work with Eva Cox on a special issue of the Australian Journal of Public Administration. Titled gender, power and use of evidence in policy, we sought to bring a gender analysis and/or feminist lens to a diverse range of policy and public administration literature, ‘slanting’ how we perceive and understand them. In 2015, Gemma and I curated an online special issue for the Australian Journal of Public Administration in which we surveyed research published in the journal archive relating to issues of gender and feminism. We found that two major silences exist in public administration concerning gender. The first is the place of women and gender equity within public service workforces. The second silence is the role that feminist theories could play in tackling contemporary public management challenges. We argued that there are particular contributions that feminist theories could make in relation to topics such as collaboration, boundary-spanning and skill requirements for future public sector workers. From this work, we conceived a special issue dedicated to addressing these silences. In 2016 we put out a call for papers to address this space. 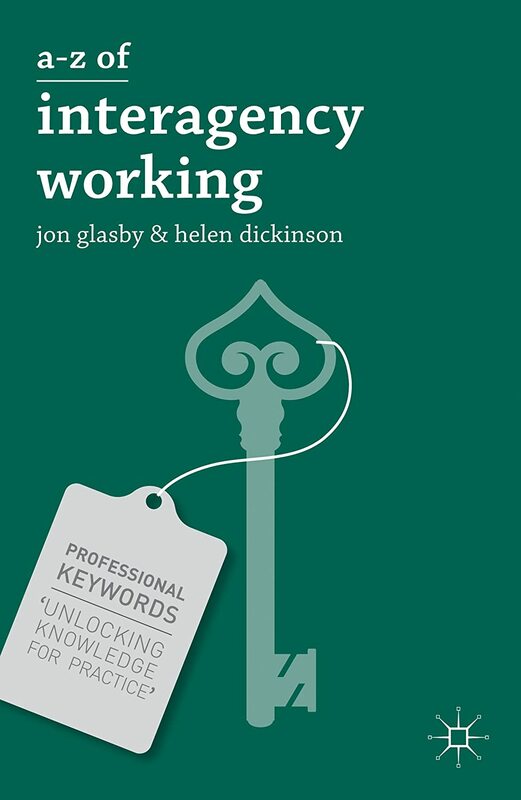 We challenged authors to not just consider gender in their work but also adopt and explore how a feminist approach might enhance work in their various domains of policy work. While feminist policy is not a new idea, we believe this collection provides a much-needed foray into the practical application of feminism across a breadth of policy work. Reflecting a parallel process, we took a feminist approach to putting together this special issue. Rather than the traditional blind peer review process, all three editors reviewed each paper multiple times – working with authors to craft their research. The aim of this was to usurp the traditional authoritarian review process with a more constructive and collaborative practice. In doing so, we provided a robust peer-review process that paralleled the theoretical approaches reflective in the work included in this special issue. Ultimately we recognise that this is a long-term project. Like policy itself, change is often frustrating incremental when it comes to both the way we think about women and more broadly altering the paradigms in which we operate. I was recently invited to be part of a panel at the recent Power to Persuade’s Women’s Policy Forum focusing on ideas around evidence, voice and agency. I spoke on the topic of how feminism can make us better at collaboration and the text below is a summary of what I had to say. Collaboration is, of course, a key concept in thinking about policy. In fact it is probably difficult to find a policy document in recent years that doesn’t make multiple allusions to the idea that government needs to be better at collaborating across different agencies and with non-governmental organisations and the broader citizenry. We have been told time and again that collaboration has become and will continue to be central to high quality contemporary governance and public servants need to be equipped with the appropriate skills so that they can work effectively in a collaborative fashion. Collaboration will be the means through which the most pressing and challenging issues that our society faces will be overcome. Yet, when we start to look at the evidence we see that that there is somewhat of a gap. We don’t have great evidence that collaboration improves outcomes – although this is probably a debate for another time. And neither do we have high quality evidence about what is needed in order to produce effective collaboration. A few years ago, a study by Sun and colleagues found that in the 10 years following 1998, approximately 400 journal articles per year were published on the topic of integrated care alone. Yet despite the size of the evidence base we lack a clear sense of what needs to be in place to develop an effective collaborative approach. And I think that feminist thinking could play an important role here. Yet, as Gemma Carey and I illustrated in a special edition of the Australian Journal of Public Administration, women in general – and feminist theory in particular – do not feature strongly in the mainstream public administration literature. In a paper published in 2013, I argued that a lack of evidence about collaboration is, in part, due to a tendency of academics to focus on collaboration as a ‘science’ and not as a ‘craft’. What I was referring to here is an approach found in some areas of the literature where researchers try to find a consistent set of factors that typically relate to things around structures or financing processes or job competencies that can be reproduced across different settings. What is searched for is the singular truth about which are the factors at the centre of effective collaboration so that this can be ‘mastered’. Such an approach, I argued, tends to ignore the fact that collaboration is a highly relational activity that is done (or not done) by people. Collaboration is not something that can simply be achieved through bringing together the right set of ingredients. It is a craft. It requires practice and, to draw on northern English vernacular, it needs graft (i.e. hard work) to get right. 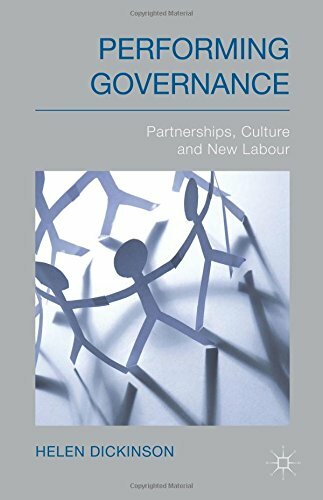 In the book Performing Governance I make the case that there has been a tendency to focus on collaboration as a technical and almost mechanistic and linear approach that has served to ignore much of the activity that happens in and around collaborative approaches. A further implication of this is that accounts focus often on the structural facets and provide little room for agency. Aside from claims about the importance of ‘strong leadership’ for collaboration, most accounts are devoid of agentic action. To counter this we would be well served to draw on feminist thinking in order to better understand these processes. A feminist lens bring a much needed poststructural turn to the collaborative literature, recognising that knowledge, truth, rationality and power are constituted in dynamic relationships, rather than a possession or something that only one individual can lay claim to. Meaning is contested, as are truth, knowledge and power. Providing a focus on power and politics is much needed within the collaboration literature as these factors are all too often absent. Indeed, in the late 1990s, politically influential authors such as Tony Giddens argued that the collaborative turn was a new way of doing government that went beyond politics. Many spoke about this politically neutral way of doing business, but we can see that the effects were often anything but. We know all too often that where groups speak about political neutrality this often results in a number of groups becoming marginalised. This is particularly important in the context of discussions around policy, disadvantage and inclusion. Employing feminist theories to the practice of collaboration can help illustrate that boundaries are not just material and constraining entities, but can be constitutive forces. Boundaries have meaning and produce effects, rather than just simply stopping actions. This draws attention to the fact that some boundaries are coercive and boundary-crossing practices employed in collaboration can be disruptive. At present there is insufficient accommodation made in the literature for disruptive practices as there is an overwhelmingly positive and altruistic flavour to the collaboration literature. Employing notions of positionality – the idea that there is no view from nowhere – is illustrative in thinking about collaborative and where we will inevitably work with individuals or groups with different positionalities. All too often collaboration is concerned with consensus and yet feminist thinking would suggest that this is difficult to achieve in a legitimate way when working with multiple positionalities and is not necessarily desireable. Good collaboration is not just a product of consensus and disagreement and debate is needed for effective policy. Feminist theories remind us that when we think about social actions, such as collaboration or negotiation over policy implementation, we embody particular cultural and historical possibilities. At the same time, we also enact those possibilities. What this means is that collaboration is always historically conditioned by a set of presuppositions that shape how we act. By paying more attention to these ideas of performativity we can understand how actors construct relationships and create boundaries in between themselves and others, and the ways in which they are shaped by the histories of particular individuals and groups (for example, past experiences of collaboration or of other actors). With a deeper interrogation of the positions that actors speak from and why particular actions are taken we better ascertain why certain dynamics emerge within collaborative settings. Feminist thinking is ultimately concerned with unsettling assumptions and challenging orthodoxy, focusing on accommodating diversity and giving voice to actors. If we think that collaboration is about more than just simply coordinating activity across a number of actors and is truly about better equipping society to deal with the ‘wicked’ and complex issues with which we are faced we will need a better literature to help us through this. Feminist thinking can help us give a better account of the nature of collaboration and the ways in which agency are important to these processes. Commitment to the accommodation of diversity and giving voice will be crucial if we are to tackle wicked issues in a meaningful way.